Vintage Game Shop is a game about using your knowledge of retro or classic video games to make profit! 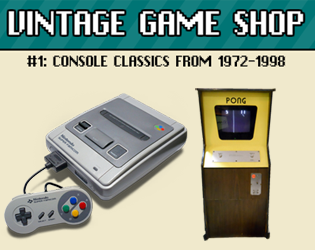 Everyday, people will come to your shop to sell you vintage games and consoles. money when you’ll resell them to another client! Will you earn enough money to buy all of the most iconic games in history?